Refer us to your friends and family. You get £50, they get £50. Create an account and share your unique link via Twitter, Facebook or email. They get a £50 voucher to redeem off their order, and you also receive a £50 voucher (exchangeable for cash). For every friend you refer, you get £50! You can refer as many people as you like with no limit on earnings. Valid on any electric bike, motorbike or scooter. To find your code, on any page look for the "Refer a Friend" button (a star icon on mobile) at the bottom left. This will open a panel with your link. You need to have an account with us for the referals to be able to be tracked. (free, no purchase necessary). Make sure you are signed in! Currently the £50 credit is issued as a voucher automatically. To arrange cash payment, please contact us to organise an exchange. There is a 30 days cooling period in case of returns. When your friend clicks on the link, they will be directed to our homepage where a small pop up will appear. Once they enter their email address, a £50 voucher is automatically emailed to them. They can then browse and make their purchase online, entering the voucher at checkout for £50 off their order. Step 3: You Get £50! 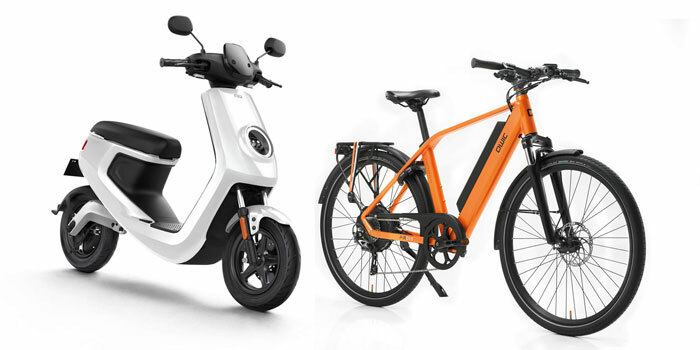 You gain a £50 reward for any electric bike or electric moped / scooter / motorbike purchase. For now, any accessories are excluded. 1. Payouts or vouchers can only be awarded when the transaction has been made online using your unique link. 4. Only valid on our electric bikes or electric mopeds / scooters. Not applicable on accessories at this time. We want to help you earn money! If you have any questions, suggestions or complaints please email hello@urbanebikes.com.